It’s no secret that I love my singlespeed. It’s my favorite bike. 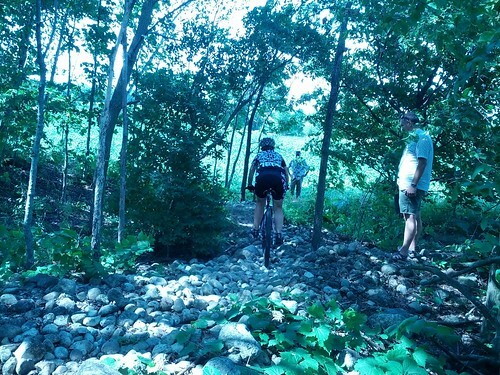 So, of course I went to Wisconsin to race the WEMS Singlespeed State Championship. Lets start by saying I had fun. I’ve raced Beechwood before, but it’s been a while. So the memories are faded in my mind and I had no idea what gear to run. So I picked 34×20 based on some descriptions of other people. I arrived, got register, put my paper plate, that was our race number, on the bike and got ready. I haven’t been riding as much this year and was a bit nervous about how’d I feel give my sciatic nerve issues I’ve been having. I did decide that if I hurt, I’d just ride and stop pushing to race pace. The race started and about halfway through the course I realized my gear was way to steep. Oh well, that’s life. I also noticed how much my hip was hurting and my sciatica. I stopped after lap one, took a chat break with Andrew, then went on to ride my bike for 2 more laps. 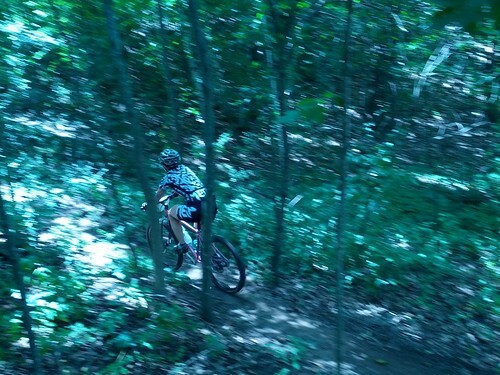 Once I switched to just riding and enjoying the amazing singletrack, I felt better. It was a glorious day on the bike, I’m proud I finished 3rd. I’m happy I rode my bike and I’m thrilled I conquered all the technical features of Beechwood. I’m looking forward to next year! (Special thanks to Andrew for driving me up there and making sure I had everything I needed. And Russell for the best heckling in the world).